EAGER TO FIND HOW TO GET THE MOST OUT OF YOUR CAMERA AND TAKE THE SHOTS YOU WANT? 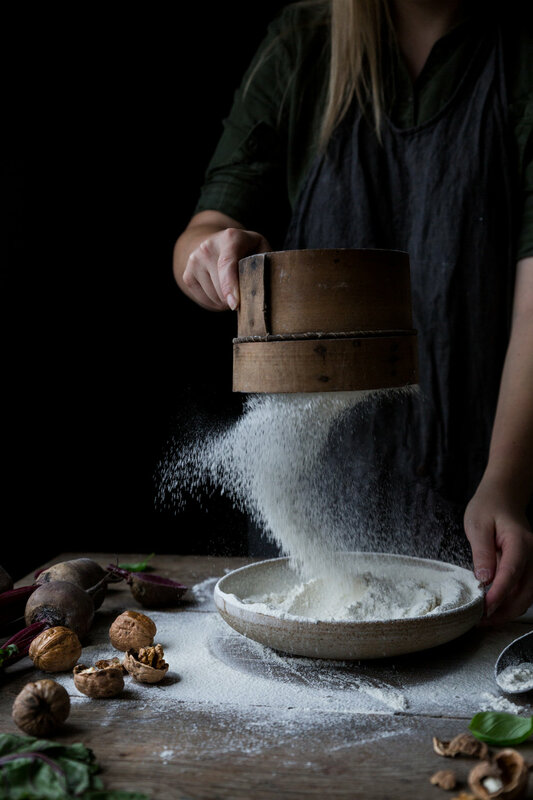 Then my online food photography, food styling and visual story telling e-course is for you! Unlike most other online food photography and food styling courses, this e-course is LIVE so that I can be there with you every step along the way! WHEN WILL THE NEXT FOOD PHOTOGRAPHY AND STYLING E-COURSE TAKE PLACE? Classes always take place SATURDAYS. For exact dates and times, please check out this blog post for the current course details. June, 2019 - click here to find out more! You also get a written lesson guide for each class so you can digest the information after the lesson ends. You need an excellent internet connection, a computer and ZOOM, a free program, similar to Skype, only better! Apart from that for the lesson on editing, it's helpful that you have Photoshop or Lightroom. If you'd like further information, the full course outline or ask a question, then please complete the contact form below, making sure you submit the correct e-mail address ;). Super happy to answer any questions you might have.